Dust your cameo regularly with a soft brush. While dusting, pay attention to the deep ridges in the cameo where dust is likely to collect. Dust can scratch a cameo, so it is important to keep it as dust-free as possible. After dusting you may rinse a shell cameo with warm water, drying it afterward with a soft cotton cloth. Shell cameos are easily damaged, so avoid using soap, harsh cleaners or commercial jewelry cleaners. 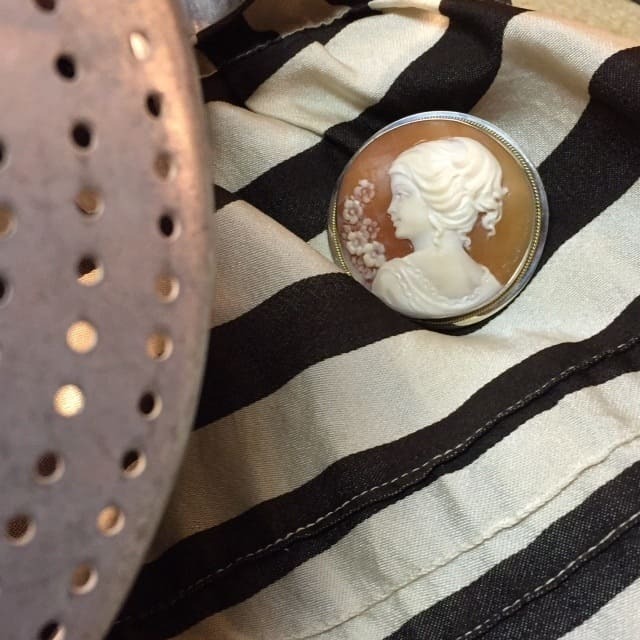 Mother-of-pearl cameos can be cleaned with a mixture of mild soap and warm water before being dried with a soft cloth. Thanks to Anna M. Miller’s book Cameos Old & New for these special cleaning suggestions.